Paul Cabinet Sourcing, are a full service cabinet sourcing agency based in China who have a wealth of experience in the kitchen cabinet and bath vanity industry. PCS is committed to helping customers source, purchase and import quality kitchen cabinets or bathroom vanities at highly competitive prices from China. 1. Locate professional factories who best meet your needs for kitchen cabinets or bathroom vanities. 2. Negotiate great prices base on your requirements. 3. Conduct strict quality assurance inspections to your quality standards. 4. Help factories making continuous quality improvement by joint and long-term efforts. 5. 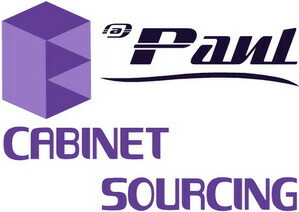 Oversee and coordinate the whole cabinet production and delivery operation. 6. Build reliable relationships with kitchen and bath cabinet factories and ensure you receive more support. 7. Expand our manufacturing network to secure the supply of kitchen cabinets or bathroom vanities. 8. Provide additional supply chain services such as sourcing associated products or logistics management. 1. We take care all of your cabinet sourcing and supply chain management requirements from China so you are able to focus on more important works. 2. Worry about order fulfilment, communications with factories and problem resolution? Now let PCS handle them, you are free of such morass with our service! 3. You save cost with our service, because we get you great price and take reasonable commission. 4. Better quality, better price. With imported kitchen and bathroom cabinets from PCS, increase your bottom line margins.